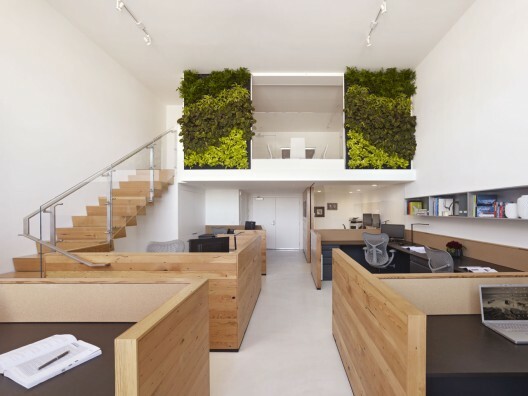 A young general contractor with a strong belief in sustainable building practices wished to create a new, LEED certified office space that demonstrated his considerable construction skills. While the selected raw space was not large (1,100 S.F. 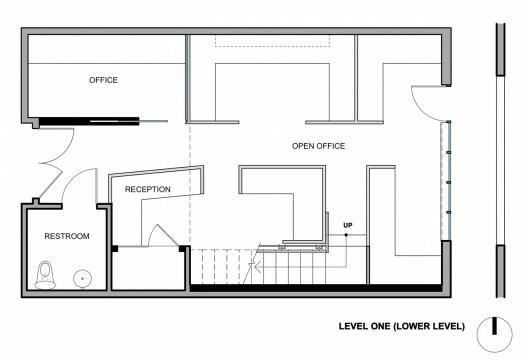 ), it offered high ceilings, a mezzanine, and a large glass storefront. Numerous low partition workstations, a private office, a conference area, and a kitchenette were carefully placed within to maximize function and daylight penetration while providing spatial interest with a flow that fostered communication. 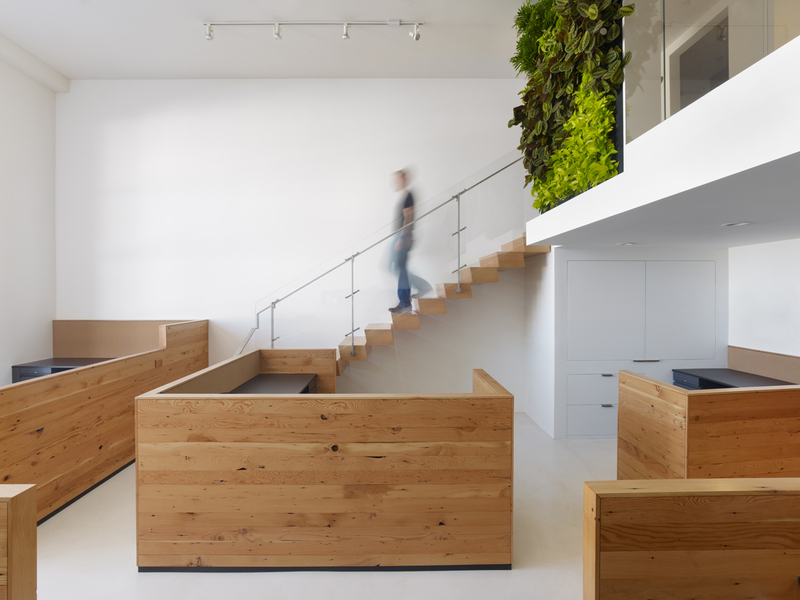 Given the size of the space and the amount of program, the materials palette was kept to a minimum. Particular attention was given to green and recycled materials. 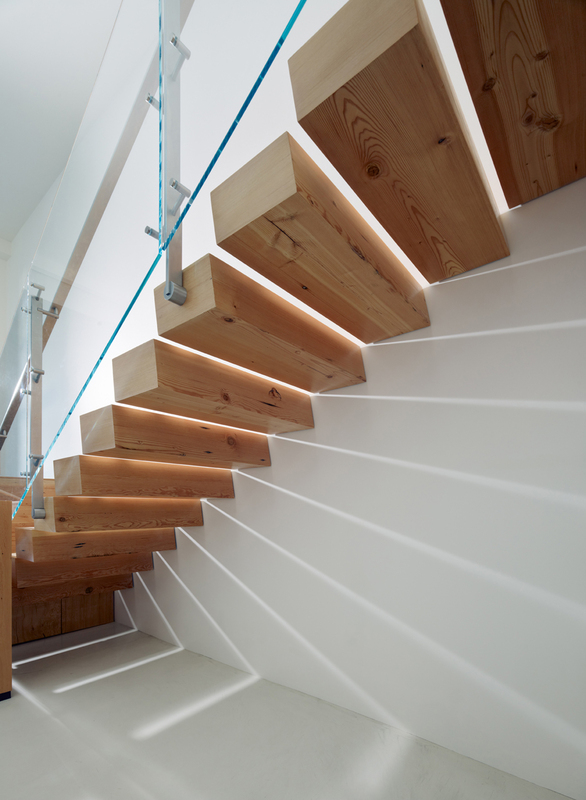 Reclaimed Douglas fir was used at the partitions, entry wall, and cantilevered stair. Workstation counters are recycled paperstone. 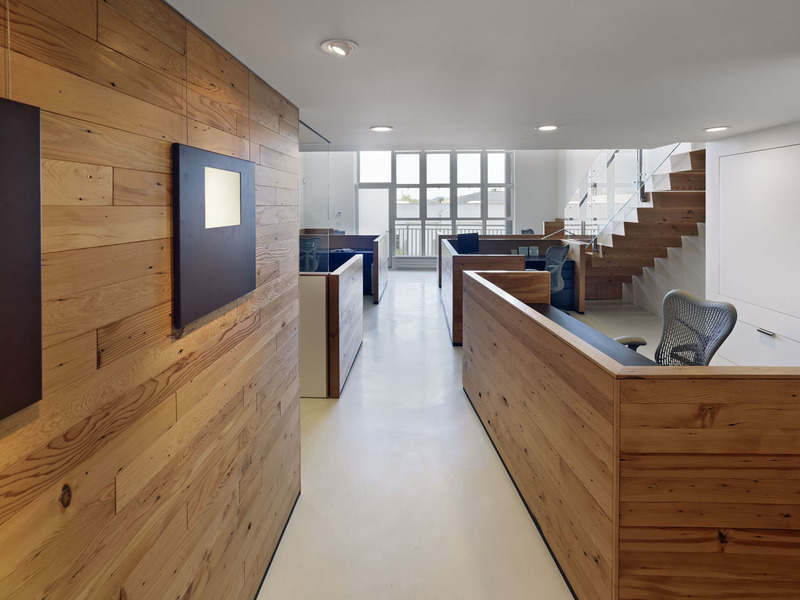 Cork tile was used in the conference area, bathroom, and kitchenette. No VOC paints were selected for all walls and ceilings. Energy efficient fixtures were selected and instead of a traditional HVAC system, each workstation has an independently controlled radiator. The focus of the space is a living wall of mixed plants that takes filtration a step further. 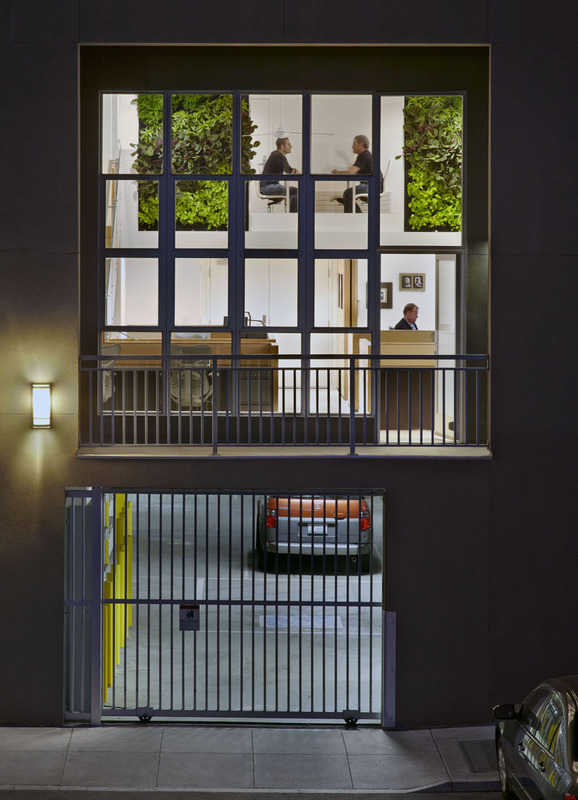 The plants are affixed to a perforated stainless screen that is connected to a fan. 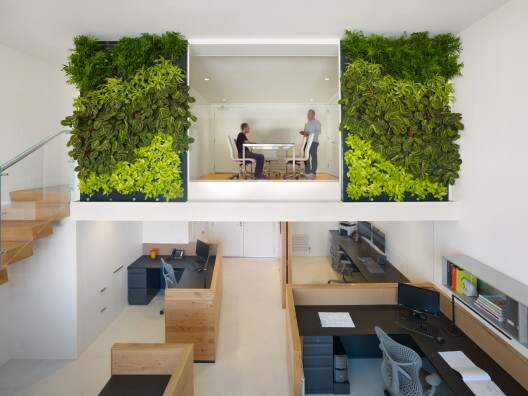 Air is drawn through the plants, thus providing natural filtration, and then recycled back into the space. 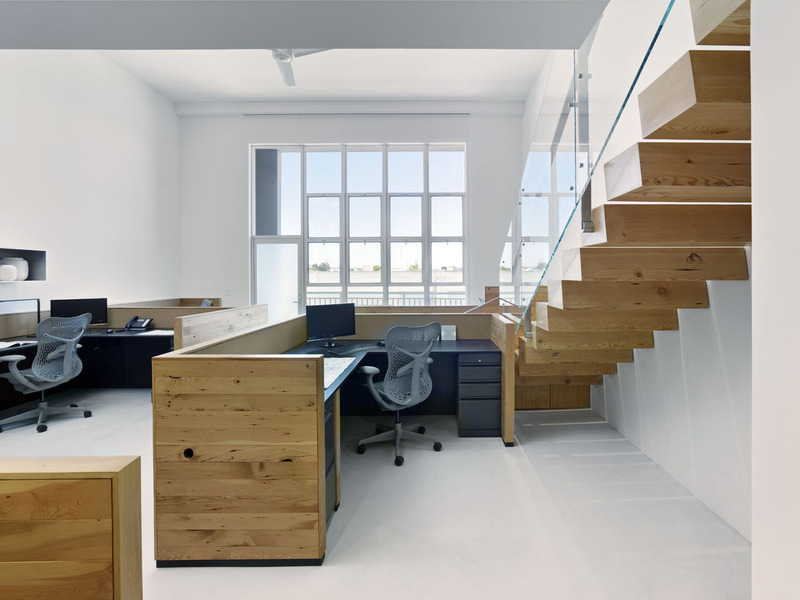 The office space is on track to achieve a LEED (R) Gold rating.